At B.LOVED HQ one of the things we’re most proud about is the that makes us different. Over the past year we’ve grown to a team of over 10 female writers, each with different personalities, dreams and life goals! We’re bloggers and writers, we’re dreamers and doers, we’re mums and wives and girlfriends, and it’s that diversity and understanding of all walks of life that makes us an awesome team! When I hear about Etsy’s ‘Difference Makes Us‘ Campaign, to celebrate what makes us, us, it was something of course I wanted to get involved in! 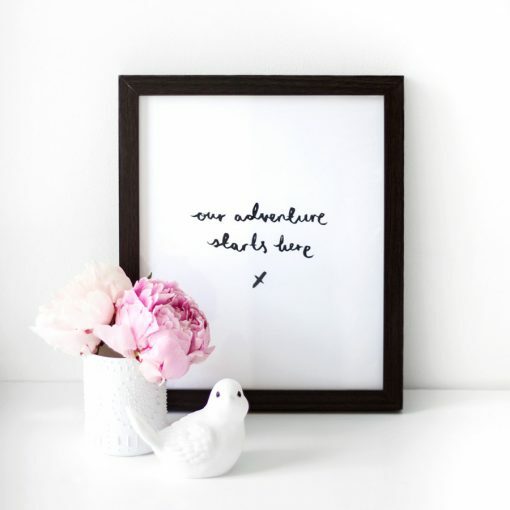 Over the next couple of weeks Catharine and I will be sharing our Etsy favourites – the things that we covet and desire from our favourite Etsy sellers and of course that reflect our own personal style and uniqueness! 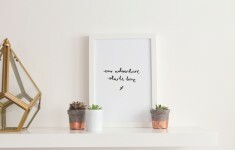 Having recently moved into a rented flat with bare walls and an overwhelming amount of beige, I’ve been on the hunt for artwork and prints to pretty up my space. 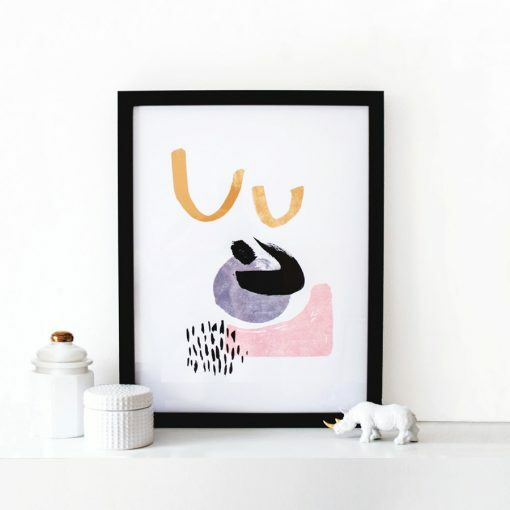 Ever since I came across Etsy seller The Lovely Drawer earlier this year, I’ve been coveting this Dance & Dash print (£25) – combining my favourite girly shades with a hint of gold, I love the modern design, and it won’t break the bank! It seems like a million and one emails are hitting my inbox before dawn each day at the moment, so my iPhone is permanently attached to my hand. My current Kate Spade case has done me well, but after almost a year of constant use it’s seen better days! 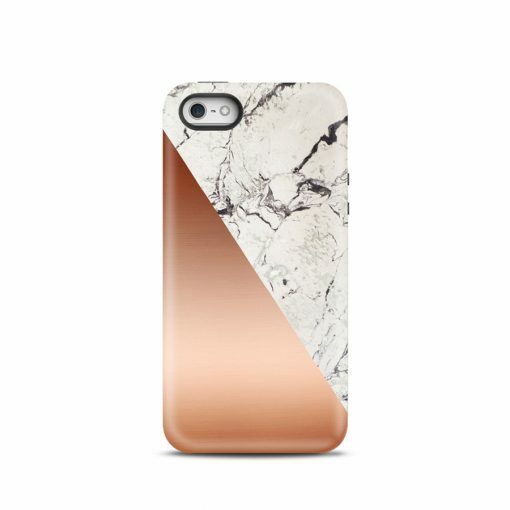 I love the combo of marble and rose gold (my faves!) on this one (£8.55) from Italian seller Overcase Shop. Anyone who knows me knows my coffee addiction shows no sign of fading! Whether it’s a skinny capp from my local Starbucks, or a homemade skinny mocha courtesy of my trusty Nespresso machine, I don’t go far without a coffee in my hand and this travel mug (£15.79) from California seller Sweet Water Decor is just perfect for those early morning train rides into London. Plus, Boss Lady! After a long shoot, there’s nothing better than soaking in a hot bath! 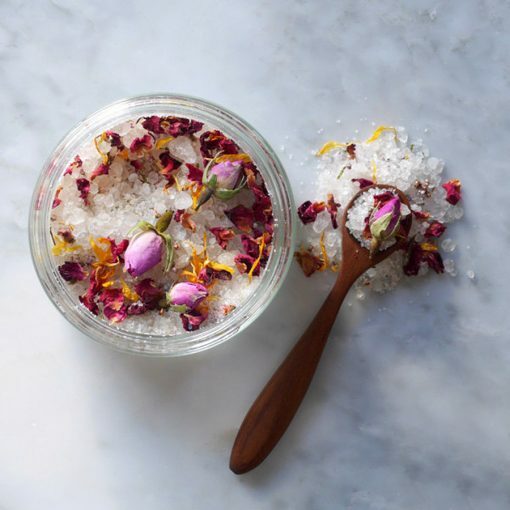 My go-to for tired muscles is Neal’s Yard Seaweed & Arnica, but for a more romantic treat I love these sweetly scented Rose & Vanilla bath salts (£16) from London-based skincare brand, Hopscotch. Somehow I’ve managed to pick up a reputation for being super tidy and organised, which is so not true! 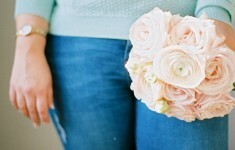 I do however, love storage and know if I have a place to put something it will (eventually) find it’s way back there. 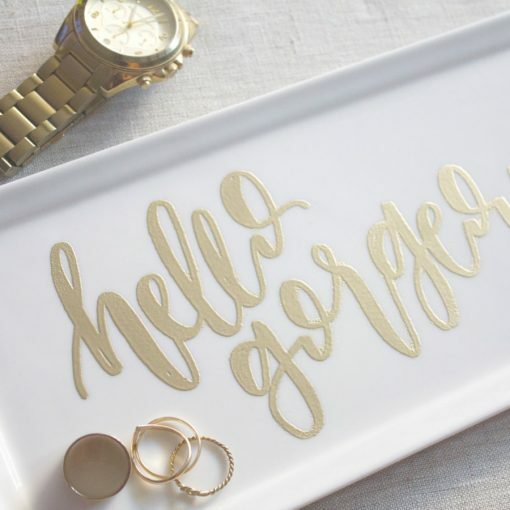 This trinket tray (£13.62) from designer and calligrapher Everthine Deisgns is the perfect accessory for my bedside table, providing me with somewhere pretty to keep my watch and jewellery every night. 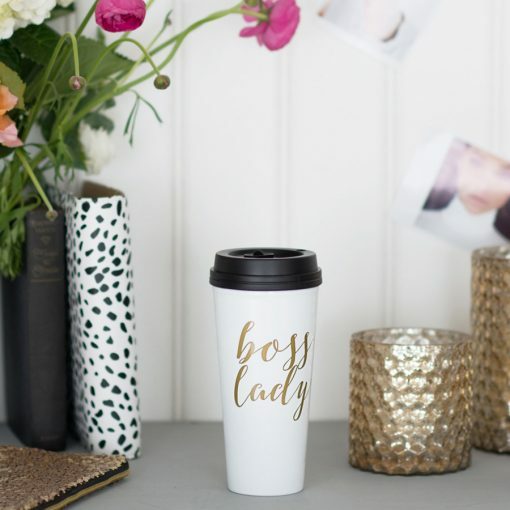 Plus I love the gold lettering! As the nights draw in and evenings get chillier, there’s nothing I love more than snuggling under a warm blanket in a room filled with candles. The warm glow is so relaxing (and romantic!) and with life often whizzing by at a million miles an hour, an evening spent basking in the warm glow of a beautifully scented evening is a well-deserved treat. 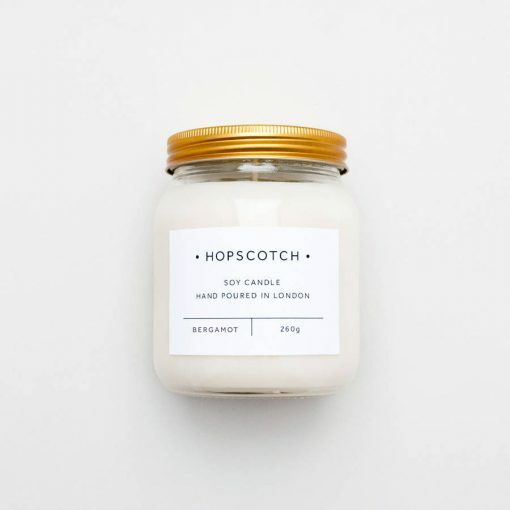 Not only does this Bergamot soy candle (£12) from Hopscotch London smell amazing, but it looks pretty cool too in a gold-lidded jar with beautiful branding. I might have mentioned once or twice that I am certainly not green fingered. But even I can manage to keep these gorgeous little succulents alive, right?! 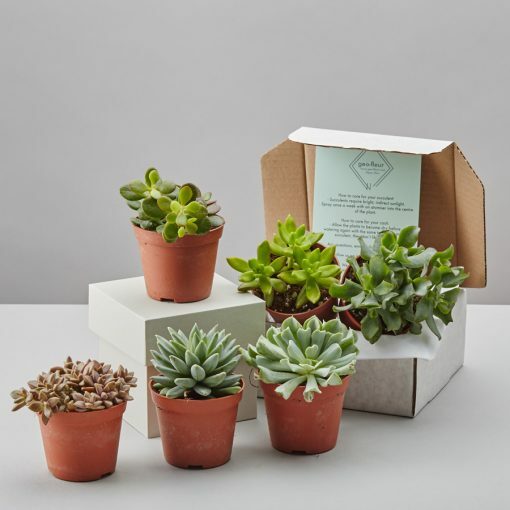 This selection of four succulents (£15) from Geofleur would add the perfect touch of greenery to my otherwise empty kitchen window sill this winter. With so many things going on at B.LOVED HQ right now, and notes kept in various books, pads and journals sometimes it’s hard to keep track of my to-do list! While I love my Day Designer for monthly planning, sometimes I just need a piece of paper on my desk staring me in the face with my daily tasks! 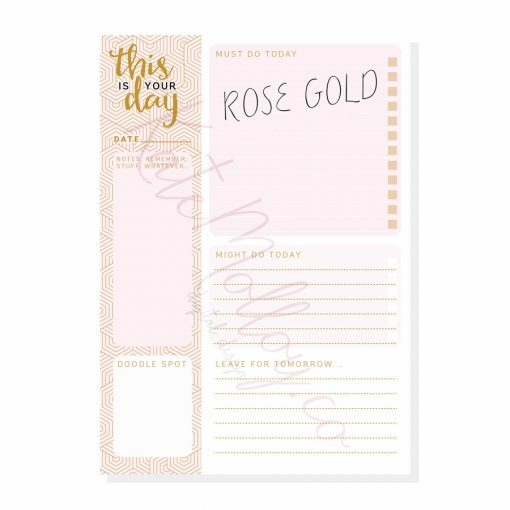 This printable daily planner (£6) from Birmingham-based Kate Molloy Design, with spaces for ‘must do’, ‘ might do’ and ‘leave for tomorrow’ is surely designed with me in mind! Plus there’s a space for random notes and doodles which is so me! It’s true I love a quote, slogan or affirmation! 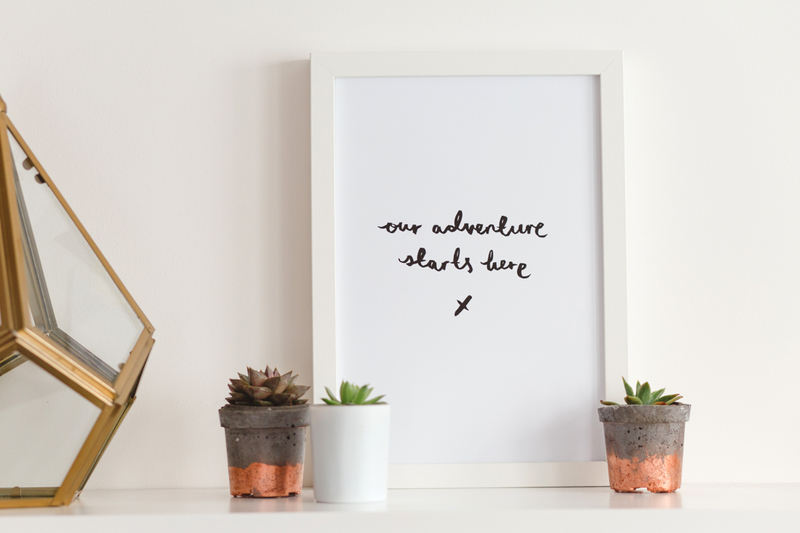 This adventure print (£20) from The Lovely Drawer hangs next to my bed, and serves as a daily reminder to explore, learn, have fun and enjoy each new adventure!